Shop from our luscious range of freshly baked cakes and get them delivered to your precious ones on the day of celebration. Let them know you care with our custom message cards going along with your cakes wishing them the best on their special day. Jalandhar-ites know how to live life king size, for sure. A well planned city where people love to relax and have a great time, Jalandhar is as indulgent as it gets. 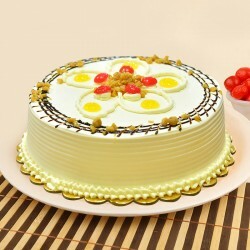 Cake delivery in Jalandhar is a sure shot way to impress a local resident. 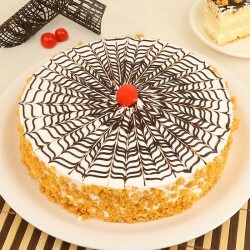 MyFlowerTree offers cake delivery at Jalandhar addresses. No matter where in the world are you sitting, just a few click can assure a cake delivered to a Jalandhar address just in time for jubilations. 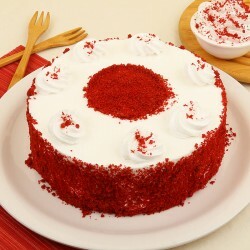 You can now avail online cake delivery in Jalandhar Cantt too. 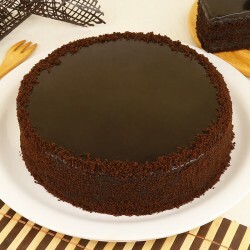 We offer freshly prepared, scrummy cakes for delivery in the city at competitive pricing. 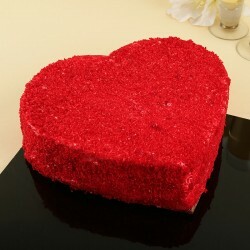 Just log on to MyFlowerTree website and choose from wide range of cakes according to personal preference. Choose the time and date you want it delivered and in just a few clicks you are sorted. 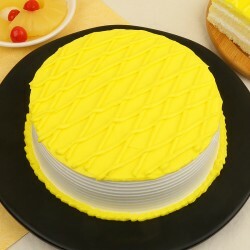 We are renowned for our assured timely delivery, good quality and reasonable pricing of beautiful looking cakes. 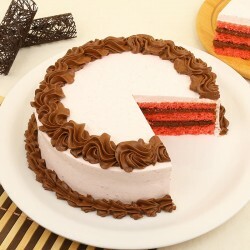 Order a cake delivery and leave the complete execution of the beautiful surprise to us. 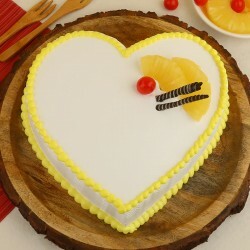 They say that you grow wiser as you grow older, hence the wisest thing to do is to order flowers and cake delivery in Jalandhar when planning a surprise for your beloved in the city. Get exactly what you order with MyFlowerTree. 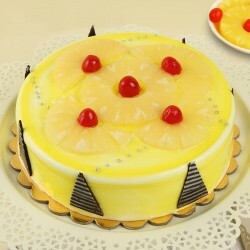 The website showcases a distinct collection of vibrant cakes that taste sumptuous. You can choose from the evergreen basic flavours like Vanila, Strawberry, Butterscotch, Chocolate and Fruit. 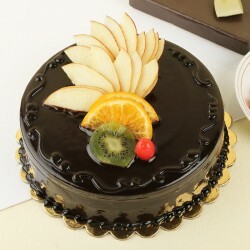 For an extra special surprise, opt from our exotic cakes. 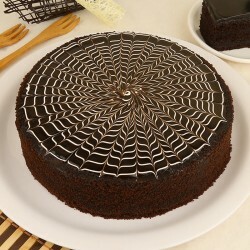 This Chocolate Beer Cake can be the perfect addition to any party at a bachelor's pad. Make this harlequin Popped Creamy Joy an addition to your Holi Party. Our decadent Sugar free Butterscotch Fantasy Cake will surely escalate the smile that your dear dad has on his retirement day. 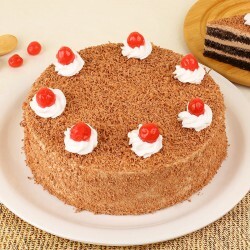 Settle for this Strawberry Choco Tango for birthday cake delivery in Jalandhar and give your mother a happy high. 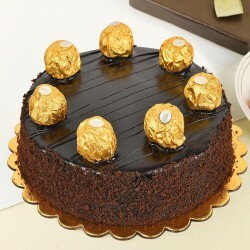 This Premium Ferrero Rocher Cake will be an exquisite addition to the rakhi celebrations at home. 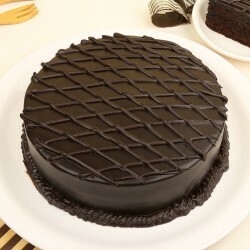 We also have on offer great cakes baked at 5 star bakeries, for all Jalandhar-ites who are on the lookout for edible luxury. 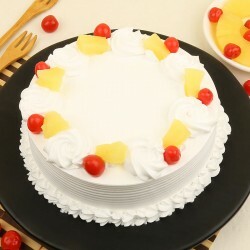 MyFlowerTree values the immense trust that our customers place in us and thus offer next day, same day and midnight cake delivery in Jalandhar. Can't wait to make a new neighbour's upcoming housewarming party special? Pre-order a our good looking Tangy Tales for the muhurat that will take place on a fixed date. 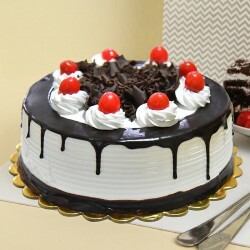 If you are someone who tends to lose the track of dates and only the digital calendar reminds you of special occasions that befall the day, trust our same day cake delivery in jalandhar as your saviour. 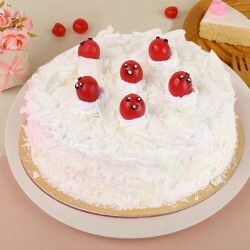 A last minute delivery of Angry-Birds Theme Cake is sure to ward the anger off a special someone's mind. Savouring this elegant Vanilla Surprise is just the midnight indulgence that your romantic partner would appreciate. 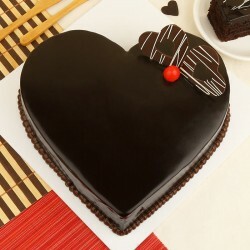 Besides being your perfect cake delivery partner in Jalandhar, you can also choose from myriad collection of fresh flowers, chocolates, cookies, stuff toys and lifestyle gifting items listed on the website, that can be delivered to any Jalandhar address in just a few clicks. We have also curated a range of gifting assortments aka combos, which you can choose for making a dear one's day special. These combos not only make the choice of gift simpler but also are cost effective.